With any destination dining experience, visitors expect to be equally awed by a restaurant’s location as they are with their meal. 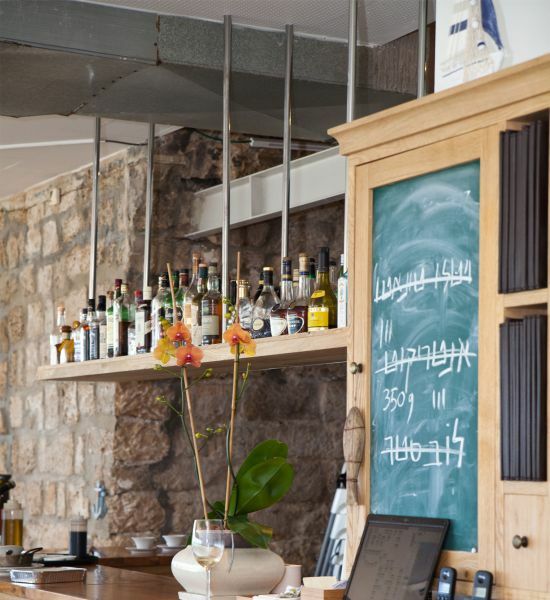 At Chef Amos Sion’s Helena Restaurant, ideally situated among majestic Herodin-era ruins in the breezy city of Caesarea – you can not have one without the other. 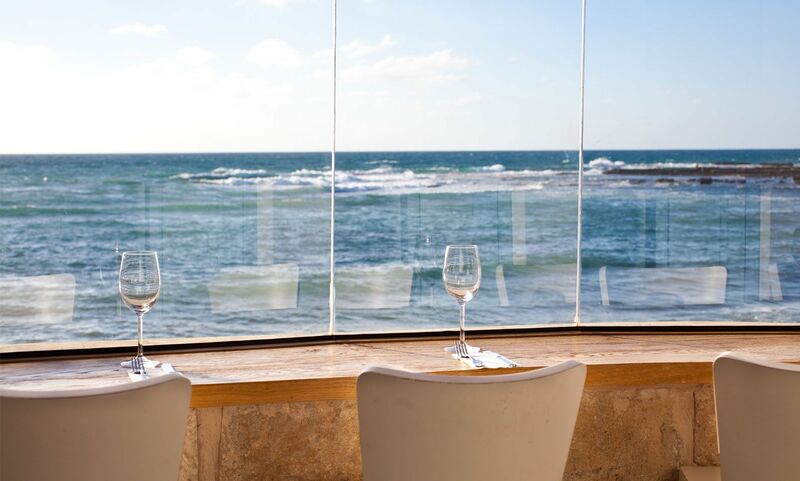 Guests sit down inside the pristine, classic interior of Helena and gaze out wall-to-wall glass panes towards Caesarea’s port – capturing the freshness of the meal they are about to embark on. 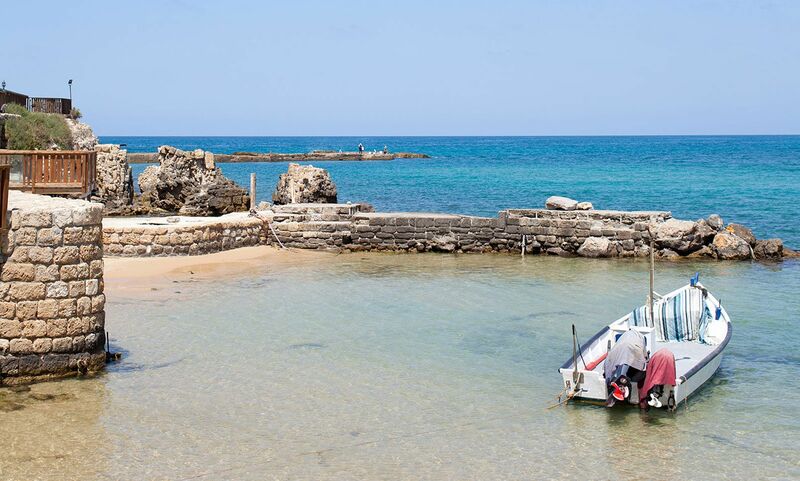 Effortlessly picturesque, the port is also the source of the locally harvested fish and seafood caught daily and used as a premier ingredient in Chef Sion’s kitchen, in addition to locally grown meats, seasonal fruits and vegetables, and local wild herbs and plants, indigenous to the Levant. 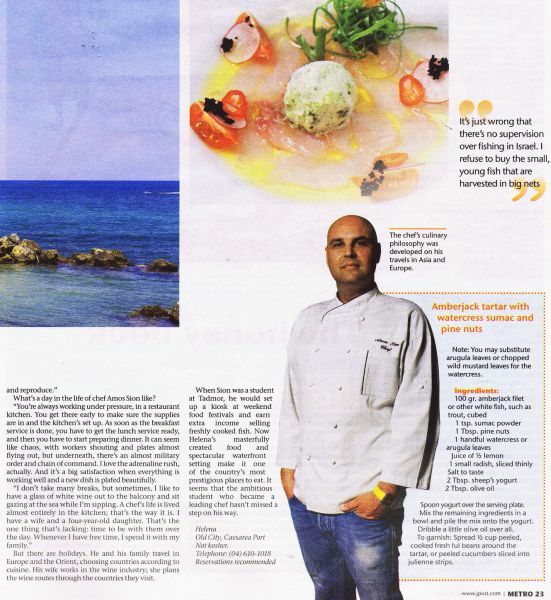 Since Helena’s opening in 2004, Chef Sion has perfected a discerning Meditteranean menu, reflecting his ability to manifest contemporary versions of local tastes. Wine lovers will be delighted with the opportunity to choose from an assorted, yet bespoke menu, using the staff’s sophisticated knowledge to pair the right local grapes with each dish.